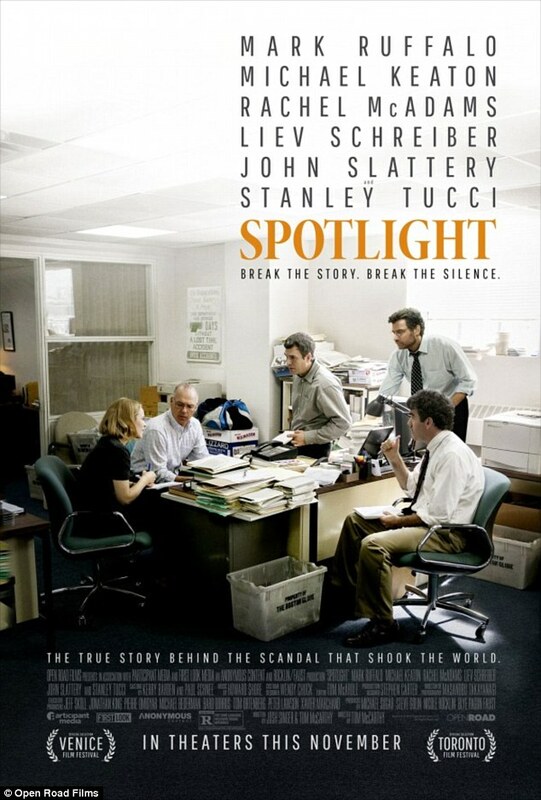 Todd McCarthy directs Michael Keaton, Mark Ruffalo, Rachel McAdams, Brian D’Arcy James, Liev Schreiber, John Slattery and Stanley Tucci in Spotlight a story based on true events that led to the 2002 Boston Globe expose on systematic child abuse in church that caused a global uproar and eventually a decade later got Pope Francis to publicly apologize on behalf of the catholic church. Spotlight is the special team of investigative journalists who work in isolation from the rest of the paper following up and priming a story before it is ready for an editorial publication. Here the team consists of Ruffalo’s Mike, McAdams’ Sasha and D’Arcy’s Matt who all report to Keaton’s Robbie. While working on a story on PD numbers they are asked by Live Schreiber’s Marty Baron the new editor of Boston Globe to follow up on a story that another reporter from Boston Globe wrote a small column on about a Boston priest who molested boys across 6 parishes over 20 years and a lawyer Garabedian played by Stanley Tucci claims he can prove that the Cardinal of the Boston Archdiocese knew about it and turned a blind eye. From here on it opens a veritable Pandora’s Box as more victims and more abusive clergy come to the notice of the spotlight team. Through one of the victims they are put in contact with a former priest who used to work at a treatment facility where these abusive priests were sent when they were accused of such wrong doings. By his estimate he thinks that as many as 8% of all priests exhibit such abusive behavior and when cross referencing records of priests sent on sick leave of other similar euphemistic terms they uncover 87 priests who may have abused children while the Cardinal looked the other way. For a story so important they couldn’t have chosen better actors. Ruffalo, D’Arcy and Keaton are great. Rachel McAdams makes a brilliant comeback and shows what she is capable of. Liev Schreiber underplays the editor role with a nuanced performance, there are no histrionics or loud outburst but a methodical dedication to the job at hand. The only complaint I have is with Ruffalo – while in most part earnest and believable the thing he does with his mouth when he talks in a manner that is supposed to seem like a Bostonian accent is weird. He sounds like that annoying person at the table who always speaks with his mouth full. The editing and pacing of the movie is where this goes a bit haywire. There are no crescendos, no high points in the movie – it mostly maintains the same pace throughout and feels overlong. 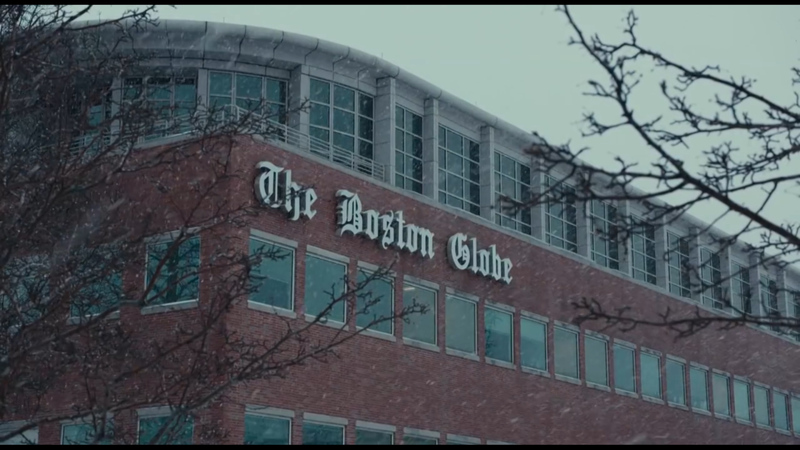 The story keeps shifting focus from the spotlight team writing the story, Tucci fighting the case, other auxiliary characters who appear to be shady but aren’t really bad eventually and this whole plot about Keaton pondering over why the Boston globe didn’t cover the news 20 years ago seems to allude to some complicity on the part of John Slattery which doesn’t go anywhere. There are many amazing support characters like Phil Saviano the leader of the victims organization, Patrick the junkie father of one who is garabedian’s client who agrees to be interviewed by Ruffalo, Billy Cudrup as the sleazy lawyer with a conscience Eric Macleish but they unfortunately are not the focus of the story and the procedural investigation is what takes up more of the story’s time and it is eventually what hurts the narrative. 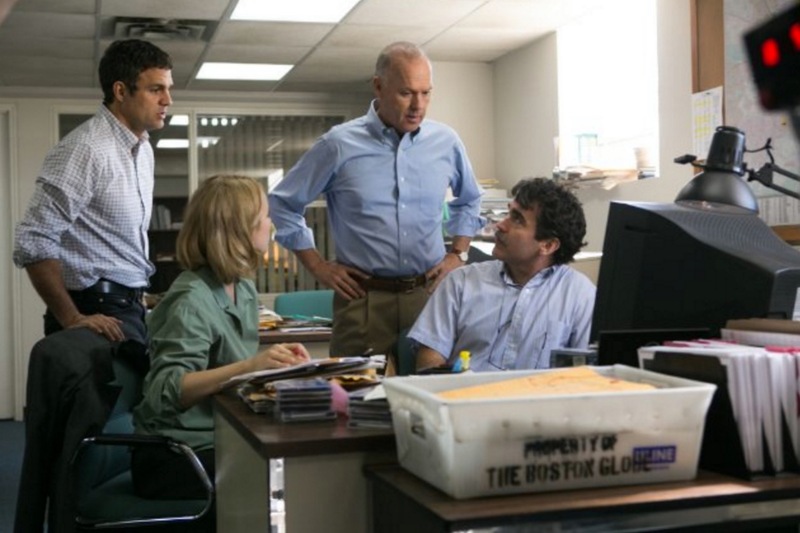 Spotlight is a very important story that needed to be told. The acting is not bad and neither is the direction but there is something missing that makes me question whether this is really the best film of the year. Certainly one of the most important stories of our time and within a confused narrative and directionless acting there are little gems of insight like when the former priest who studied this phenomenon in abusive priests says that the vow of celibacy is one of the primary reasons for this behavior. Or when Matt played by D’Arcy goes and drops a stack of newspapers when the story breaks on the front porch of another abusive priest who lives in his neighborhood. Or how McAdam’s devout catholic grandmother asks for water half way into reading the story. Or when on the sunday when the story breaks and Robbie and Mike come to the newspaper office and there are no picketer or how the usual newspaper phone lines are not ringing but the Spotlight lines for the victims is ringing off-the-hook. It is moments like these that lift the story and make it worthwhile.